Can I change my type of insurance policy with you? What type of cover is Zego's cover for scooter? How much does your PAYG Hire and Reward cost for scooter? How much is Social, Domestic and Pleasure insurance for scooters? Due to the number of factors that go into quoting a Social, Domestic and Pleasure insurance cover and the wide range in price dependent on personal circumstance, we are unable to give a estimated price with limited details. 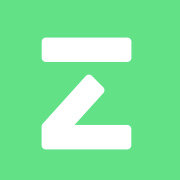 To get an exact quotation, please download and complete sign up on the Zego app for iPhone or Android. Or - if you prefer - please call our friendly customer service team on 020 3308 9800 and we can give you a quote over the phone.